Address by Rabbi Raymond Apple to the Rabbinical Council of New South Wales on 24 November, 2004, marking Rabbi Apple’s retirement as senior rabbi of the Great Synagogue, Sydney. My career has spanned nearly 45 years, 32 of them in Sydney. As Rabbi Danglow used to say, I have seen so much as a rabbi… comings, goings, and goings-on: constants, and changes. The constants include Chaim Bermant’s acid comment on the Purim page of the London Jewish Chronicle which one year parodied a blatt gemara. Pretending to be Rashi, he wrote: “Rabbi – from riv, to quarrel”. Wherever they are, rabbis seem to have their disputes, and for a long period the disputes in Sydney were on the arena of kashrut. But in time the rabbis were able to bury their differences and to create one communal kashrut. The new unity brought harmony to the rabbinate as a whole. I am proud to have been part of the unification process, and I challenge the critics of the Kashrut Authority to find a community anywhere which has overcome factionalism as we have. All this at a time when the rabbinate is more diverse than ever. Years ago almost every Sydney rabbi was from the Torah-im-derech-eretz school. Today we have a culture gap. I for one still hold with Torah-im-derech-eretz. I live in two worlds at once, though those who find me a puzzle probably respect me too: turning the phrase around, it is chash’dehu v’kabb’dehu. Another change. Not long ago the congregational rabbi was largely a pastor and officiant. The new rabbi is a rav again, and his inspiration is from Moshe Rabbenu and the sages. We have remarkable talmidei chachamim, even in Australia. Today’s level of Jewish learning is unprecedented in Jewish history. Once it was true that yoter mimah sheha’egel rotzeh linok, parah rotzah lehanik (Pes. 112a). Today it is punkt verkehrt: even more than the mother wishes to give milk, the calf wants to drink. Congregations are thirsty for Judaism. Even secularists sometimes come to listen and learn! Not that all the lay leaders approve of the new rabbi. Drawing, perhaps unconsciously, on Herzl’s plan to keep the rabbi within the synagogue, some communal leaders would prefer us to be mere liturgical functionaries. Lay people are welcome to the political spokesmanship, but it weakens the Jewish heritage if they find difficulties in rabbis bringing the insights of Judaism out of the dalet ammot of the synagogue into the market place of ideas. The problem is not just the lay people, but the rabbis too. Some are uncomfortable outside their dalet ammot. Not all have the presence or ambassadorial talent to be a national figure. In my own case I have taken this wider outreach for granted, partly because of Great Synagogue tradition and partly out of personal disposition. The result is many years as the voice of Judaism in Australian society and as a rabbinic diplomat. The task requires the confidence of every section of a diverse community: a delicate balancing act, but not impossible. 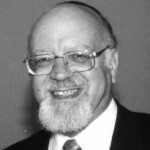 The k’lappei chutz side of my life has gone with k’lappei p’nim efforts as guide and mentor for a broad range of congregations and almost the entire rabbinate. My advice was not always taken, but some have told me later that they wished they had listened. Often it was times of crisis that brought colleagues to me and I acknowledge their courage and dignity at moments of doubt and difficulty. Within our professional bodies, I re-formed the State association, served for two four-year terms as president of the federal body, and have shared many years on the Sydney Beth Din with colleagues who have received little recognition on the part of the community. It has been a busy rabbinic life, with its pressure and aggravation, but with many blessings too. I have been fortunate in my congregation and my shule colleagues. When I left London, Chief Rabbi Jakobovits, knowing that my chazan was to be Rev Gluck, said, Tzu zein mit Glickl and in many ways I have been mit glick. My wife has coped with my moods and preoccupations. My children have understood, even when I sold them short. My Israeli grandchildren have no idea of my professional life: they simply know that saba has a bet k’nesset in Australia. In retirement I hope to have more time for all of them, my wife, children and grandchildren alike. Would I choose to be a rabbi again? On frustrating days I would willingly have gone back to the law, but on the whole I have enjoyed the challenge and exhilaration of the rabbinate, the sense of et la’asot laShem. Rav Yaakov Emden blessed HaShem that He did not make him a community rabbi; I humbly thank Him that I am a rabbi. A parting word to younger rabbis – and pardon me if I sound like your saba: enjoy health and satisfaction in the holy profession we share. May HaShem give you energy and bless your efforts Lil’mod ul’lammed lishmor v’la’asot. This entry is filed under Articles, Australian Jewry, Misc. Addresses.